1 in 6 people suffer from hearing loss. 2 of those people are Ray’s parents. 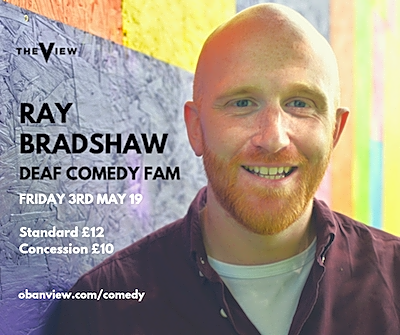 Full of hilarious, eye-opening tales about growing up with deaf parents, Deaf Comedy Fam is a first for comedy as each show is performed by Ray simultaneously in spoken English and British Sign Language. Two-time Scottish Comedian of the Year finalist. Fully sold-out Edinburgh Fringe 2017. Winner of the Weekly John Chataway Innovation Award, Adelaide Fringe 2018.